Praia dos Olhos de Água can be translated as ‘eyes of water‘. 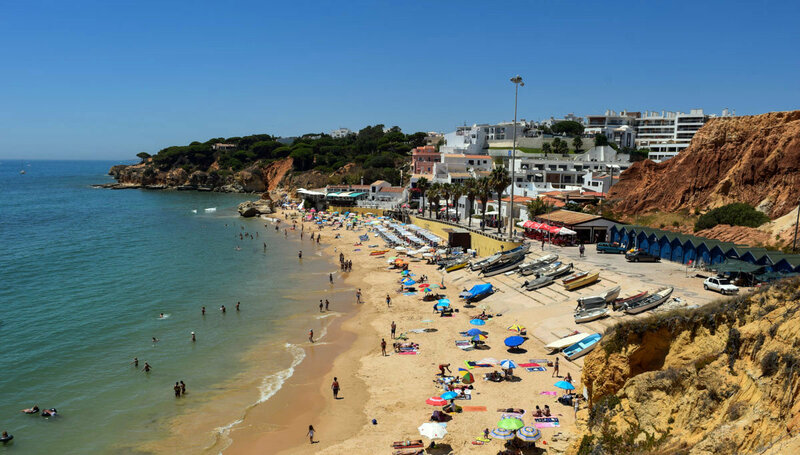 Together with Praia de Falésia, this is one of the best beaches in the region of Albufeira. The following video gives you an impression of the beautiful beach. You can see that the beach is surrounded by sandstone cliffs, and that Praia dos Olhos de Água lies right next to Praia da Falésia. 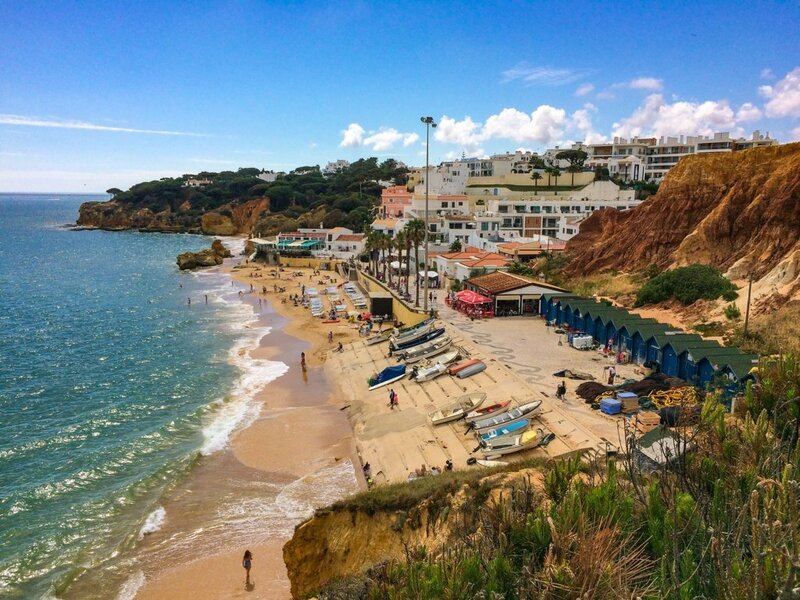 Olhos de Água is a small village that is part of the municipality of Albufeira, located about 5 kilometres to the east of the town of Albufeira. Olhos de Água used to be a small fishermen’s village, but its beach has grown to become a mainstream tourist destination. Every year, the village expands to the north, in order to try to cope with the increasing number of tourists. However, the village still has its charm and the beach has maintained its beauty over the years. Praia dos Olhos de Água is famous for its natural springs. When the tide is low, these freshwater springs can be found on the eastern side of the beach, among the rocks. The water is fresh, cold and can be drunk. The water from the springs has been used as drinking water for the village in the past. When the tide is low, you will also see remarkable circles of natural springs in the sand. These natural springs can be found in several places on the beach. These natural springs look a bit like eyes, and gave the beach its name. Praia dos Olhos de Água is in English sometimes called Eyes of water beach. The beach is very popular among families with (young) children. This is partly because of the natural springs, which is a great attraction for children. Kids love to investigate the fresh water springs. In addition, there are many facilities. There are several restaurants, bars, supermarkets, shops, hotels, and health centers nearby. Olhos de Água is relatively calm, compared to Albufeira. Praia dos Olhos de Água is thus a good destination for people who would like to be close to a city, but without the big crowds of people. It is also the perfect destination for a day trip. The beach is relatively small, compared to some other beaches. This is why Praia dos Olhos de Água can feel crowded quite quickly, especially in the summer or during high tide. 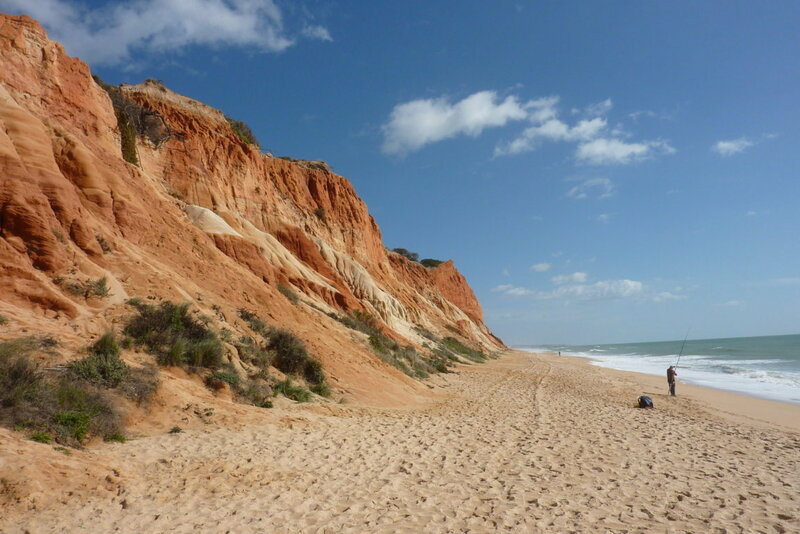 However, this beach is much less crowded than some other beaches near Albufeira. If you are looking for more space, go to praia da Falésia, which is right next to Praia dos Olhos de Água. If you would like to experience this beach from up close, it is possible to view a 360 degree picture of this beach. Praia dos Olhos de Água is perfect for beach walks. During low tide, you can walk all the way to Vilamoura. This would be to the left. During low tide, it is also possible to walk to the right, in the direction of Praia da Oura. When you enter the beach, the sand is quite grainy. When you get closer to the water, the sand gets softer. Watch out for rocks in the water on the right side of the beach. Many people have hurt themselves there. It is best to swim on the left side of the beach. The sea is clean and crystal clear, but can be a bit cold. Be aware that it gets deep quite quickly. The beach can be accessed by one road. To get there, you can enter the following address in your GPS: Rua dos Pescadores 3, Olhos de Água, Albufeira. There is a big parking garage near the beach, with plenty of parking space. From there, it is only a short walk to the beach. Along this walk you will encounter bars, ice cream parlours, restaurants and shops. Parking here is not free though. If you are looking for a free parking spot, you can park your car in the upper village. However, this is quite a walk away from the beach. There are many restaurants nearby. It is not necessary to bring your own food to the beach. Some restaurants, like La Cigale, have a great sea view. Another restaurant/bar with a nice sea view is O Caixote. Praia dos Olhos da Água is also great to watch the sunset. Also in the evening, the atmosphere is wonderful here. Casa João Bravo. This apartment is only a 2 minute walk from the beach. It was recently renovated. If you are looking for a beach holiday, then this is your apartment. Apartamento Olhos D’Água. 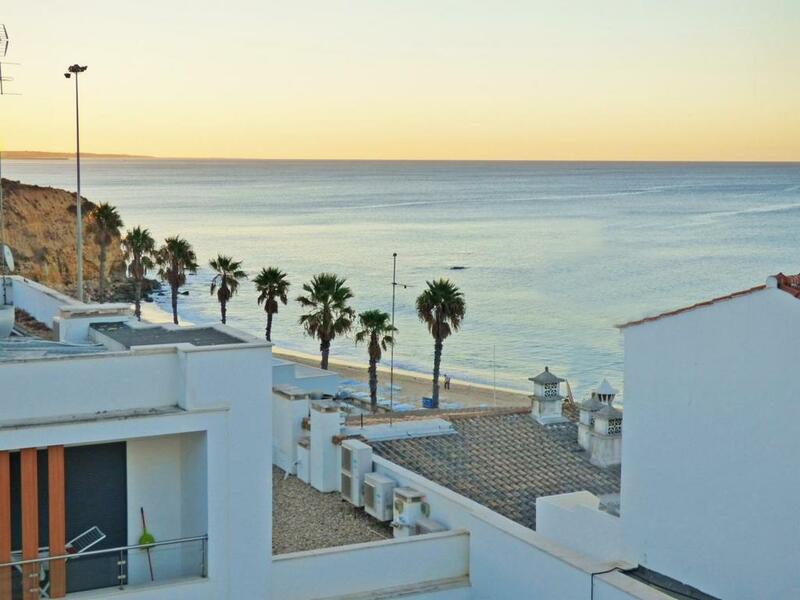 This modern apartment is situated right above the beach, and has balcony with a great view over the beach and the sea. Highly recommended. Apartamentos Turisticos Monte da Vinha II. 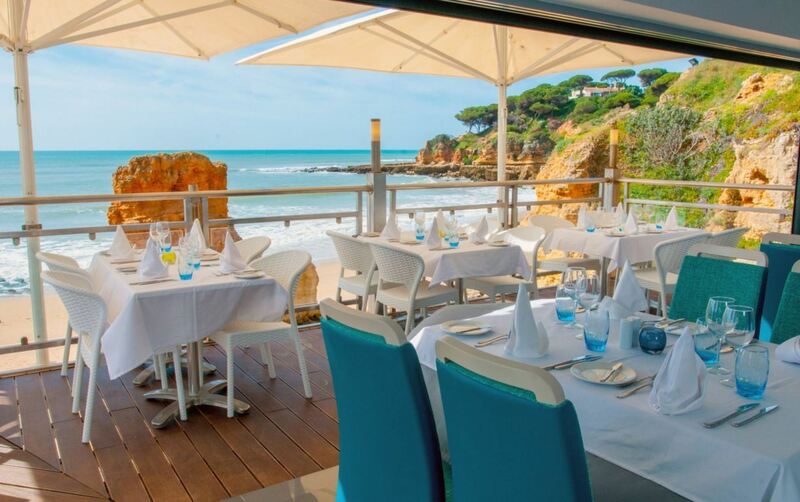 This 3 star aparthotel has everything you need for a great holiday in the Algarve. Facilities include a swimming pool and a terrace. The place is highly rated. After the busy summer season of last year, we recommend to book your hotel now, as it will probably sell out. Below you can find a map with the location of hotels near Olhos de Água. By changing the date of your holiday, the map will show you the current prices. Excursions can make a holiday extra memorable. 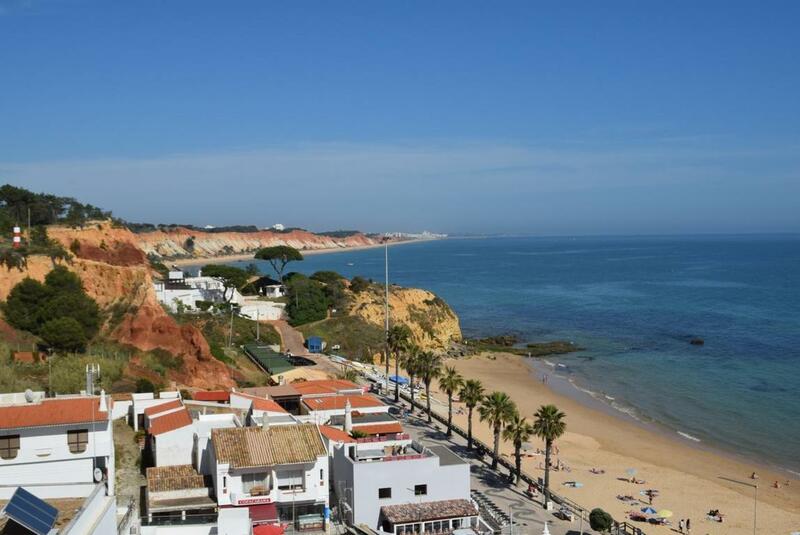 In the Albufeira / Vilamoura area, you have many choices: there are a lot of great excursions. 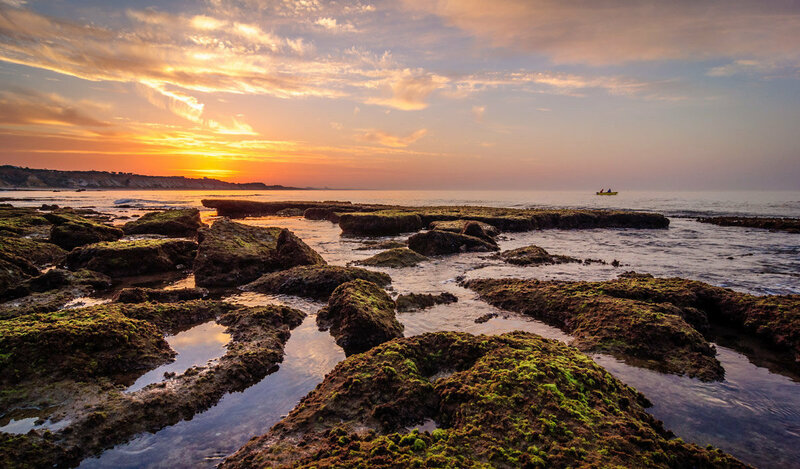 For example, take a boat trip to see the coastline of the Algarve or visit the Benagil cave. Below you can see our selection of recommended excursions nearby. The facilities near the beach are perfect. Everything you might need is nearby. We hope you feel inspired for your holiday in Olhos de Água! 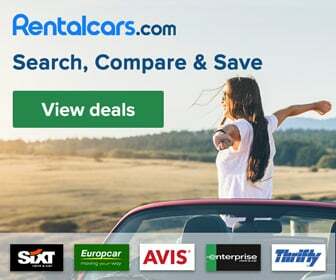 We encourage you to check out our other pages and find out all the secret tips on more dream destinations in the Algarve. If you have any questions, please reach out to us.